The LES arranged a two-day workshop for SPSS from 10 to 12 March 2014. 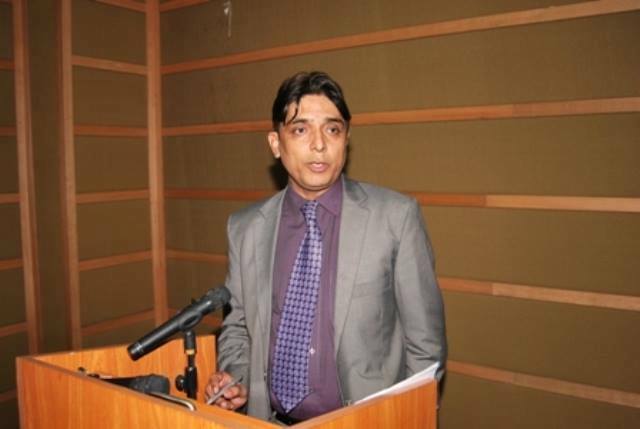 Mr Zahid Iqbal, Assistant Professor, Department of Economics conducted the workshop. The workshop consisted of two sessions one for beginners and another for advance levels students. The participants learned about variables and their types; creating data datasheets; introduction to basic graphical charts; data entry in SPSS and descriptive analysis in the first session. They also learned about the testing reliability of the study instrument; framework of study; descriptive statistics of data; regression analysis; cross-tabulation and Chi-square techniques; correlation analysis and ANOVA table in the second session. The workshop equipped the participants with basic knowledge of SPSS making it convenient for them to apply the techniques in their researches.